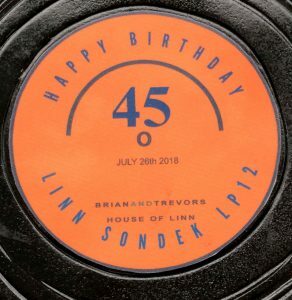 In a world of streaming it is a sign of the times that we continue to celebrate and enjoy vinyl recordings especially with the iconic Linn Sondek LP12 Turntable, first manufactured in 1973 and now in its 45th year having continuously evolved with innovative state of the art engineering performance. 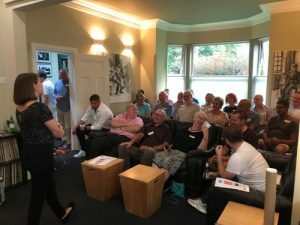 To mark the LP12 45th Anniversary, our party sold out as we opened the entire ground floor at House of Linn to welcome 26 guests to our large demonstration room through to the diner kitchen, and to the outside areas to take advantage of the very warm summer evening. 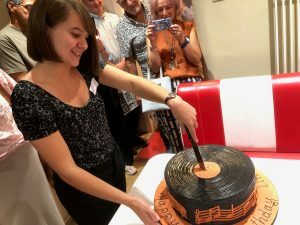 The evening was extremely relaxed and fun with plenty of great music and a ginormous birthday cake to cut and enjoy! 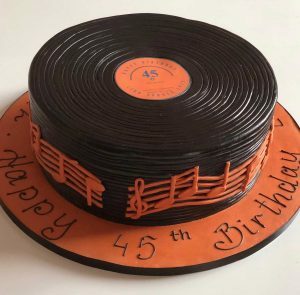 Our thanks to Slattery of Whitefield for making this custom chocolate fudge cake to our specification to represent a pile of vinyl records! 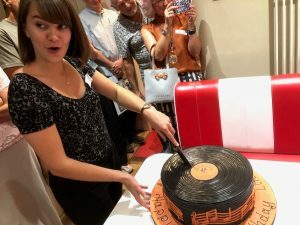 The Main demonstration room system streamed the LP12 to the Kitchen System so music was everywhere, as we hosted a lovely 45th LP12 anniversary party of music, food, refreshments and a special LP12 Birthday Cake! 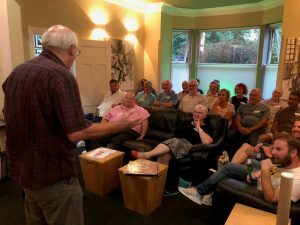 We had a wonderful and entertaining party evening listening to vinyl recordings guests had brought along to play, discussing choices for the evening as well as the personal significance of the chosen records. Katie Wilson, Linn’s Brand Ambassador Presents the LP12 45 Year History. A guest presenting his choice of vinyl recording for the evening. 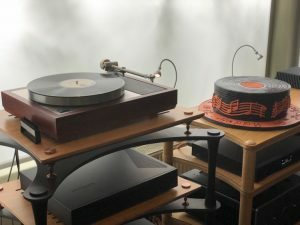 The Linn LP12 made every vinyl record we all listened to during the evening sound authentic, detailed and spectacular, with guests applauding from time to time at a particular choice of record and compelling musical realism. 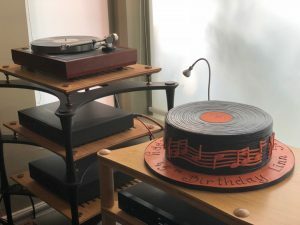 Linn Sondek LP12 Turntable and Cake! Our Custom-Made Birthday Cake. Katie Wilson from Linn making the first cut! 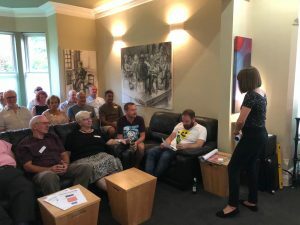 Thank you to all who attended and a special thank you to Linn’s Brand Ambassador Katie Wilson, for superbly presenting and for helping us feel like guests at our own party! 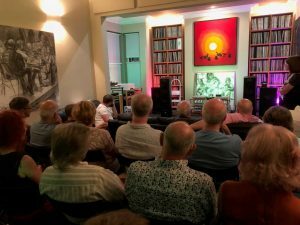 Also, remember there is no better time to buy a new Linn component or a new Linn system and save 10% with our offer of Linn’s 2018 Summer Promotion. Feel free to contact us for further information and a demonstration. You are very welcome David and we are delighted you enjoyed the evening. Thank you for your comments and we look forward to see you again.